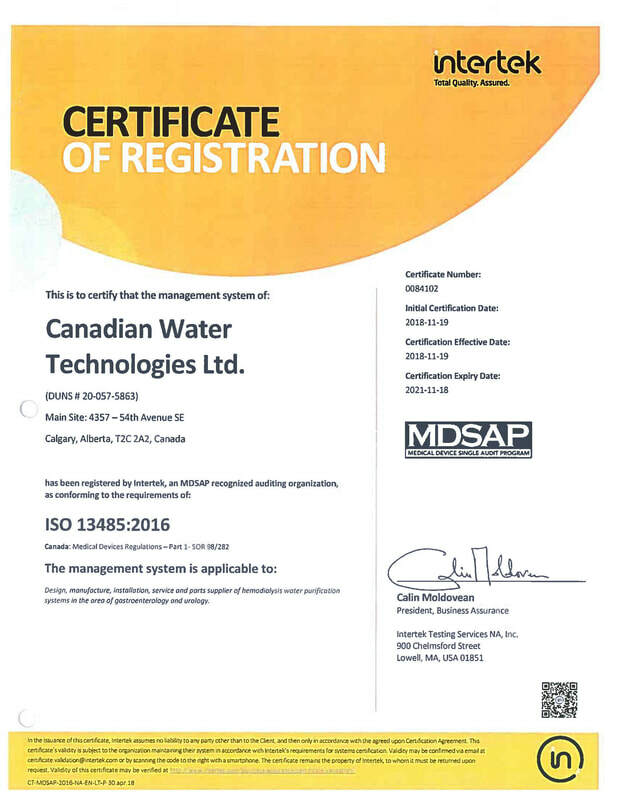 CWT is a turnkey/component manufacturer and parts supplier of high purity water treatment systems. It provides this service to Medical, Commercial & Industrial, Food & Beverage, and Pharmaceutical companies where high purity water is required. CWT designs, installs, assembles and services water treatment systems that use the following processes for production of high purity water; Reverse Osmosis Filtration, Nano-Filtration, Ultra-Filtration, Deionization, Electro-Deionization and associated pre-treatment and polishing devices. CWT designs, manufactures, supplies, installs and services hemodialysis water purification systems in the area of gastroenterology and urology. Provide quality products and superior customer services. Maintain policies and procedures that meet the highest ethical, safety, regulatory and business standards. Be sensitive to the social and economic concerns of our community. Establish leadership standards in the industries with which we are associated. Recognize that our greatest assets are not material but rather those individuals with whom we work and the customers whom we serve. 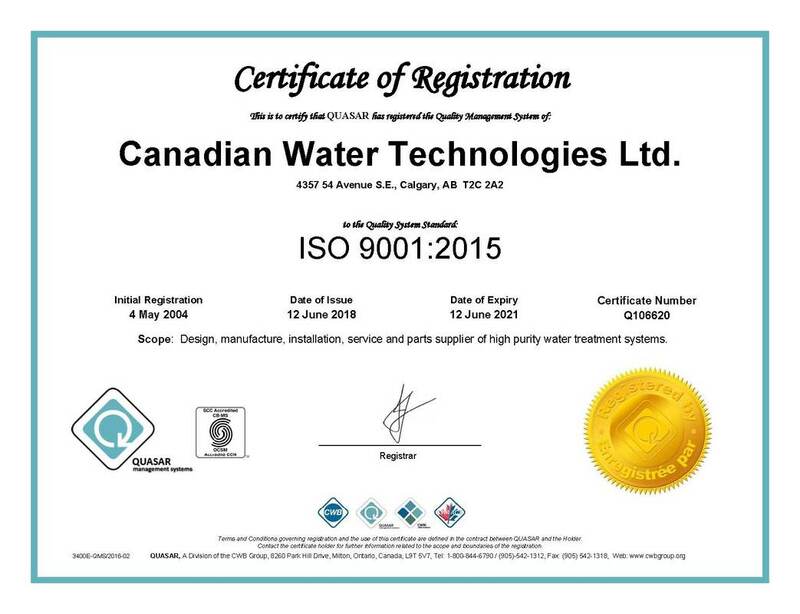 At Canadian Water Technologies, we are committed to provide customized water treatment solutions, specific to individual application. Our technological association with DOW, Avista and other industry leaders, keeps us up to date with latest available technology in water treatment industry. Our primary objective is customer satisfaction and we maintain the level of services through professional excellence and continuous improvement programs and trainings.